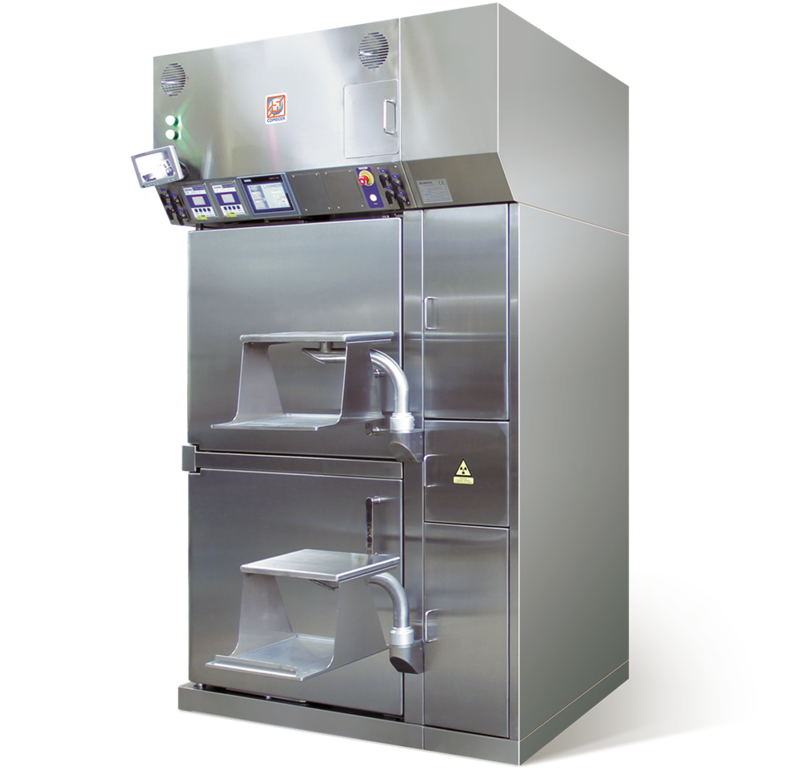 HELIOS is designed for radiopharmaceutical production centers, laboratories or hospitals following cGMP guidelines. The system has features functions such as Bubble Point Test (BPT) execution for the dispensing filter, leak test of the main chamber and pre chamber. 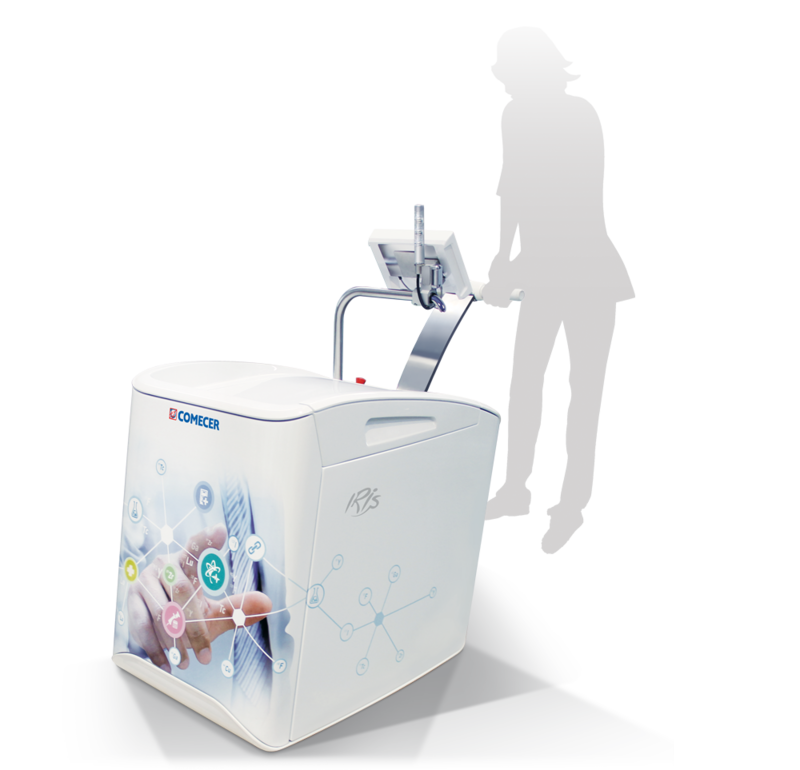 The system can be equipped with integrated particle counter and VPHP sterilisation cycle. HELIOS produces batches of 50 syringes or vials with an average speed of 1 syringe/vial every 30 seconds. Each cycle includes dispensing, calibration (in the pass-through ionization chamber), discharge in the shielded container and extraction. The shielded HELIOS isolator has a compact and essential design. 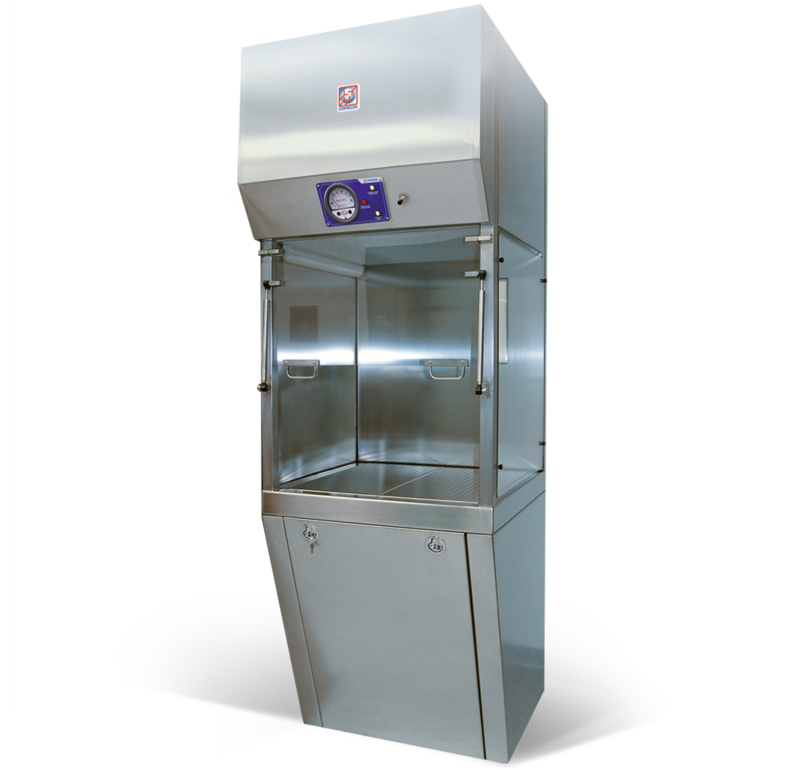 Thanks to its small size, it can be positioned in confined spaces inside small laboratories or large production facilities. 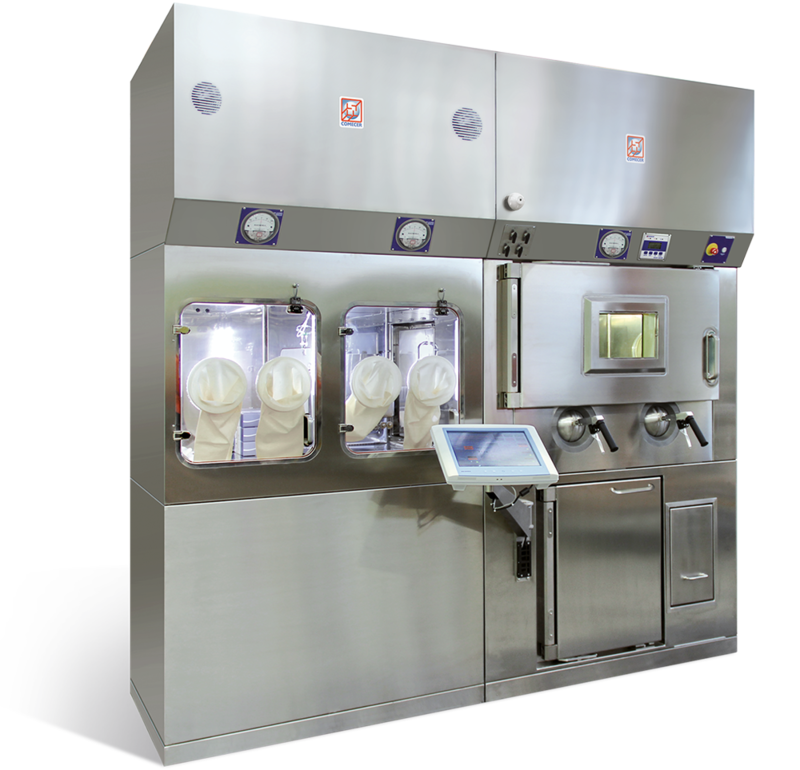 The dispensing system consists of fully automated components: an “invisible” conveying system for vials and syringes with magnetic transport system and two linear actuators with grippers for vials and syringes. 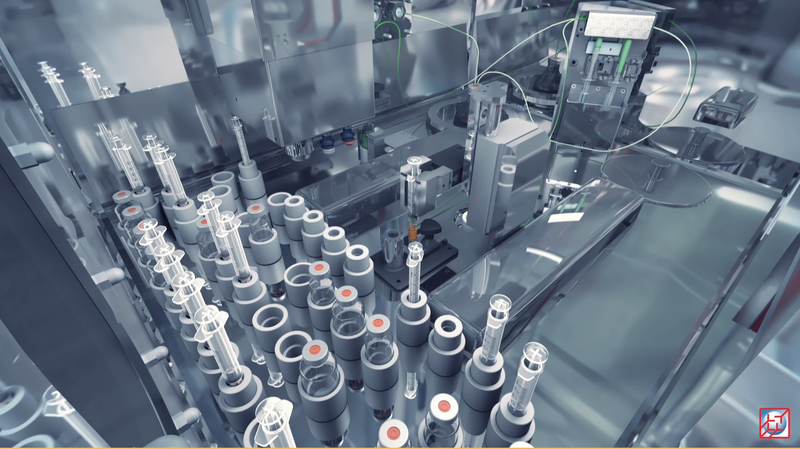 The actuators move vials and syringes from the conveying system to the filling systems and from the conveying system to the pass-through calibrator. An “invisible” conveying system for vials and syringes is the base of movement system. Vials and syringes are placed on the work table of the cell inside magnetic containers and moved to allow filling and unloading in a sequential and fast way.